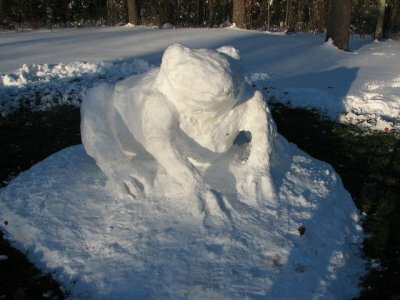 Once upon a time there was a big snow frog. (He was an albino) He was so big and so cold that no one wanted him to live in their pond (icebergs/titanic type thoughts). So the poor frog had to live way up north in the cold of Michigan. Along came a Texas girl and she thought snow was really neat! 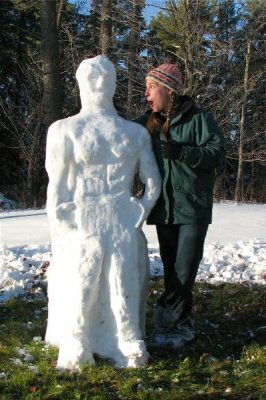 She wanted to see more than usually came to Texas and she heard that the snow was great in Michigan so she went up there. 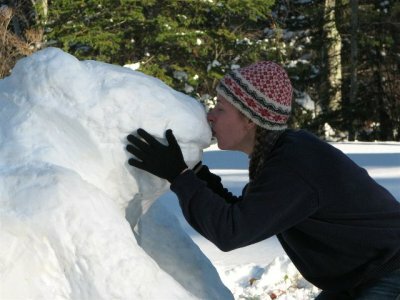 While in Michigan she met the snow frog and thought he was so cute that she gave him a kiss! 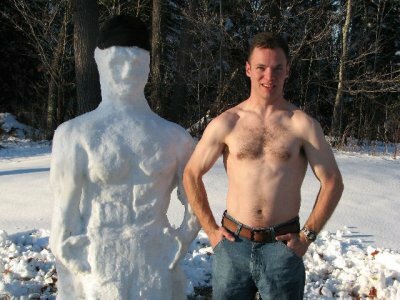 And wonder of wonders, he turned into a snow man! Well, what did you expect? A prince? I guess there are some similarites.